Bergad’s Technical Foams offer the best material for comfort, shock absorption, and vibration/sound damping applications. These open-cell, flexible polyurethane foams have a slow recovery that can be controlled by formulation. When compressed, memory foam does not quickly return to its original shape; instead it slowly conforms to the shape of and supports the weight of the object compressing it with incomparable comfort, vibration, and shock control. Our products are known for their industry leading quality, characteristics, and price. 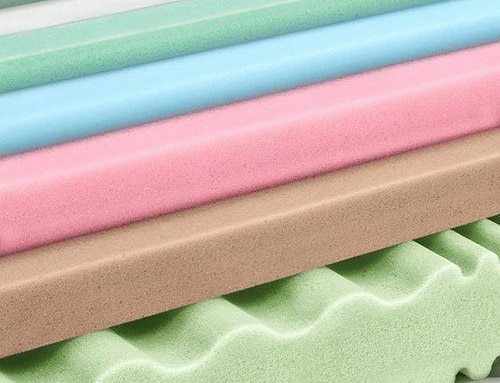 Both stock and fully custom memory foam formulations are available. Fast lead times, from 1 – 14 days for all viscoelastic bun stock, sheet stock, and cut-to-size pieces. Though custom lead times vary, we are always among the fastest in the industry. Flammability Ratings up to and including passing both 14 CFR 25.853(a) Appendix F Part 1 (a) i & ii when tested per Appendix F Part 1 (b) (60 second and 12 second vertical flame tests), California Technical Bulletin 117 (12 second vertical flame test), FMVSS 302 (15 second horizontal flame test), and UL 94 HF-2, UL 94 HBF, UL 94 V-2, UL 94 V-0. Pantone Colors available for all viscoelastic foams with low minimum quantities. Though some limitations may exist when combining properties, we are committed to developing the perfect memory foam for your project. To see how Bergad Specialty Foams can help with your project, give us a call at 724-763-2883, or complete our easy-to-use Contact Us form today.